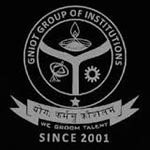 GNIOT Admission 2020 procedure will be organized by the Greater Noida Institute of Technology (GNIOT). It is a unit of Shri Ram Educational Trust and affiliated to Dr. A.P.J. Abdul Kalam Technical University. The admissions are offered on the basis of university entrance exam score or other national level entrance examination score. Candidates can get admission into the university in its various UG & PG offered courses. Get more details about GNIOT Admission 2020, including, important dates, application procedure, application fee, counselling, admission procedure, etc. Bachelor of Technology (B. Tech) and B. Tech (Lateral Entry). Master of Technology (M. Tech), Master of Computer Application (MCA), MCA (Lateral Entry), Master of Business Administration (MBA), MBA Integrated (BBA+MBA). Application form will be released in the third week of January 2020 and continues till the third week of March 2020. Candidates will register themselves by filling their basic details and receive registration number and password for further login. Candidates can login and fill the required personal and educational details in the application form. Candidates have to upload their photograph, thumb impression and signature and have to make payment of the application fee. Candidates will take printout of the application fee payment receipt for further use. Candidates should preview their application form and can correct the mistakes if required. Candidates will submit their application form and take print out of the application form for further events. Candidates have to pay Rs. 1300/- if they are male candidates of General/OBC category. The fee for female/Pwd/SC/ST category aspirants will be Rs. 650/-. Application fee can pay via debit/credit card or net banking. Application fee can also be paid via demand draft in the favor of the university. Application fee will be non-refundable in nature. Qualification Required: Candidates must be 12th pass from a recognized Board or university. Marks Required: The candidates must have 45% (General) & 40% (SC/ST/OBC) for UPSEE qualified candidates and 50% (General) & 45% (SC/ST/OBC) for direct admission. Subjects: Candidates must have Physics and Mathematics in 12th with one optional subject, i.e., Biology, Chemistry/Bio-Technology/Technical Vocational subject. Qualification Required: Candidates must pass their bachelor’s degree of minimum three years of duration in any stream form a university or its equivalent. Minimum Marks: Candidates must have minimum 50% marks in their bachelor’s degree and 45% marks are required for SC/ST candidates. For admission in MCA candidates must pass Mathematics at 12th or Graduation level. Qualification Required: Candidates must pass their bachelor’s degree in relevant stream form a university or its equivalent. Marks Required: Candidates must have minimum 60% marks in graduation or its equivalent and 55% marks are required for SC/ST category candidates. Entrance exam: Candidates must have score card of GATE/GPAT/UPSEE. The university will conduct the GNIOT 2020 admission procedure after the completion of counselling. Candidates can take prospectus after producing UPSEE seat allotment letter. After filling admission request letter, candidates will receive and fill admission application form. Candidates can apply for scholarship at the same time if they are eligible. Candidates will produce their required documents and submit their application form. Candidates will also pay course fee at the same time or within the time period allotted to them. After completing all the formalities, candidates have to visit the institute at the time allotted to them. Candidates can go through GNIOT 2020 entrance exam (UPSEE 2020) for getting admission into the university. The exam will be conducted in the third week of April 2020. Candidates will give exam through online mode. Question will be asked from Physics, Chemistry and Mathematics for the candidates who wants to get admission in B.Tech. Syllabus will vary as per the course chosen by the candidates. Candidates can view GNIOT 2020 result on the website with the help of their registration/roll number and password. Institute will also publish rank of the candidates based on which candidates will be called for the admission process. In case of tie resolution, marks secured by the candidates separately i.e. subject wise will be considered. If tie will be continuous, candidates older in age will get the priority. For the candidates, GNIOT 2020 counselling procedure will be started in the third week of June 2020. Candidates will choose college and course on the website of the university in which they want to get admission. Candidates can participate in the counselling process after paying the counselling fee. Candidates can contact to the authority before counselling if they have any confusion regarding the counselling process. After the seat allotted to the candidates at the time of counselling, they have to report for the final counselling. Candidates have to carry their original documents to submit them to the admission committee. Candidates have to collect the fee deposition slip & pay the admission fee. After the payment of admission fee, candidates can join the classes as per the schedule. If candidates have any query regarding the GNIOT Admission 2020, you can ask us by leaving your comment below.